Successfully Added Hystou FMP03b Barebones Mini PC - Licensed Windows 10, 128GGB Memory, i3-7100U CPU, 8GB RAM, 128GB Storage, WiFi to your Shopping Cart. The Hystou FMP03b is a powerful mini Windows PC that's not going to break the bank. Thanks to its Intel Core i3-7100U CPU and 8GB of DDR3 RAM you get a lightning quick performance that's able to support all your home entertainment or home office computing needs. It has 128GB of internal storage that can be expanded via USB or the onboard SATA port. 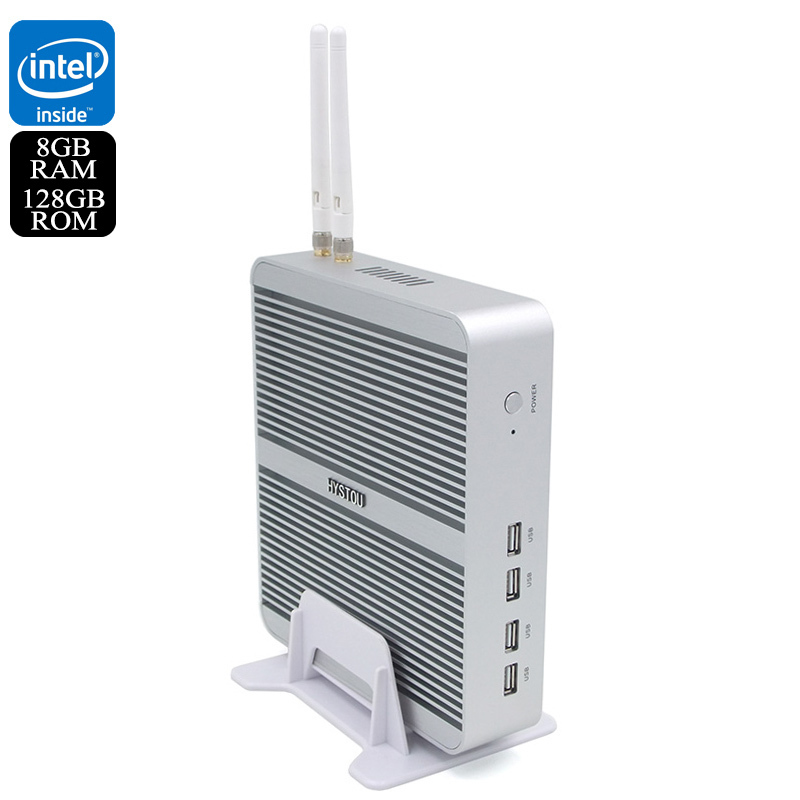 A compact sleek design this mini PC has a small footprint and can be stood vertically with the accompanying stand or even attach to your monitor or TV. A full aluminum body with slotted top makes for effective cooling allowing the system to operate silently without the need of a fan. The dual Wifi antenna provide a stable wireless connectivity but there is also gigabit ethernet port if required. This Mini PCE has excellent connectivity with 4USB ports, HDMI, BGA, speaker, mic, SD card and optical ports so you can make it the center of your home entertainment setup or a complete home office. A licensed version of Windows 10 is preinsalled on this mini computer so its ready to go directly from the box. The Hystou FMP03b Windows mini PC comes with 12 months warranty, brought to you by the leader in electronic devices as well as wholesale min computers and TV boxes.